For over 50 years, Kellman Brown Academy (KBA) has brought out the best in its students. From early childhood through 8th grade, KBA’s blend of General Studies and Jewish Studies inspires young minds to aim high, think creatively, and embrace Jewish values. But exceptional academics are just the beginning. Our stellar art and music programs, engaging after school activities, sports-for-life pursuits, and theater performances are just a few of the many ways KBA educates the “whole” child – intellectually, emotionally, and socially.  Our welcoming community embraces families from across the spectrum of Jewish commitment and observance, making for a diverse, stimulating environment. KBA welcomes students from diverse Jewish backgrounds and embraces families with a broad spectrum of observance. We are enhanced by a population whose varied experiences and perspectives enrich the school community. Many of our families and staff attend Conservative, Reform and Orthodox synagogues, and some choose to remain unaffiliated. We maintain a kosher facility which allows all children to feel comfortable eating in our building. KBA offers an egalitarian environment in every aspect of the school. Boys and girls are offered the same opportunities and responsibilities during services and religious ceremonies, as with all other classroom, athletic, and leadership roles. Whether experiencing the warmth of a Kabbalat Shabbat service, receiving a first Siddur, or celebrating B'nai Mitzvah with classmates and family, KBA students embrace Jewish values and take pride in their heritage. Kids (and their families!) thrive here. Stop by and see why.